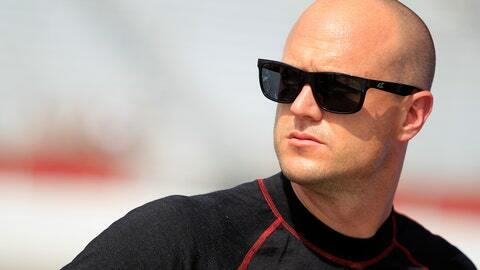 Josh Wise has 69 Sprint Cup starts to his credit, with a best finish of 19th coming at Talladega in May of this year. Silly Season continues unabated in NASCAR, with the latest move coming from Phil Parsons Racing, which next year will switch to Chevrolets and have a new driver in Josh Wise, who raced for Front Row Motorsports in 2013. The PPR team, which first raced in the Sprint Cup Series in 2012, had its highlight reel moment of 2013 in the season-opening Daytona 500, where Michael McDowell finished ninth. The No. 98 PPR entry, which campaigned as a start-and-park team for much of the year, ended this past season 42nd in owner points. Wise has 69 Cup starts to his credit, with a best finish of 19th coming at Talladega in May of this year. PPR is owned by former NASCAR driver Phil Parsons, who competed in nearly 500 races in the NASCAR Sprint Cup and Nationwide series. Parsons has worked as a NASCAR analyst for FOX Sports since 2003. "I am really looking forward to joining Phil Parsons Racing in 2014," said Wise. "While I enjoyed my time at Front Row Motorsports, and am thankful for that opportunity and feel I’m leaving the team on good terms, I am still really excited for what next season will bring. I think it was time for a change. I appreciate Phil, Mike Curb and everyone at Phil Parsons Racing giving me this opportunity. The team has a lot of exciting things going on for next year, and I’m thankful to be a part of it."